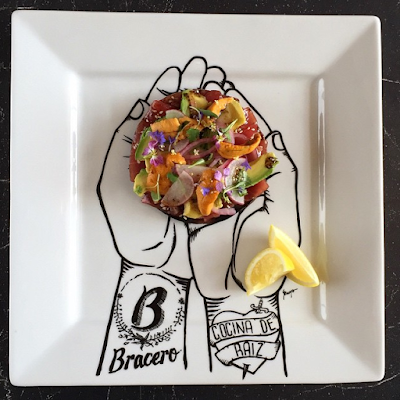 San Diegans have been bursting at the seams in anticipation of the opening of Baja Celebrity Chef Javier Plascencia's most northerly restaurant - Bracero Cocina de Raiz - which will open at 1490 Kettner Boulevard in Little Italy on Thursday, July 9. The restaurant announced on its social media that it is now taking reservations for its upstairs portion of the bi-level eatery. The more casual, first floor of Bracero will consistently be available on a first come, first serve basis, so there will be no reservations for the downstairs portion or for bar service. For the more upscale, upstairs portion of Bracero, reservations are highly encouraged and can be reserved on the Bracero website or by calling the restaurant directly at (619) 756-7864. 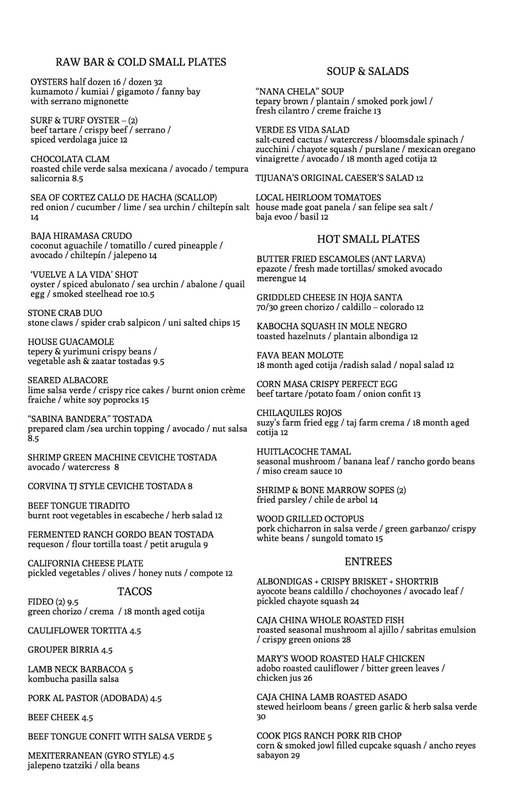 For the first month, Bracero is only accepting parties with a maximum of six guests, although in the coming months, they will begin accepting larger parties. Bracero Cocina de Raiz is a 4,800 square foot, bi-level eatery dedicated to modern Mexican cuisine, mezcal and Baja wine. The menu will offer both small and large plates, including favorites from Plascencia's many other restaurants, as well family-style shareable platters. An interactive vertical bar will tower from floor to ceiling where mixologists will exhibit their craft on every level, and an open kitchen on each floor will allow guests to view the artful preparation of their meal. There is also an open terrace that showcases San Diego’s perfect climate. Designed by Los Angeles-based firm Bells & Whistles (Sycamore Den, The Smoking Goat, Starlite, Facebook corporate headquarters, etc. ), the space will offer a rustic yet modern, nostalgic yet impressively forward-thinking ambiance that will certainly have that wow factor. Be sure not to miss the 'sombrero wall'! 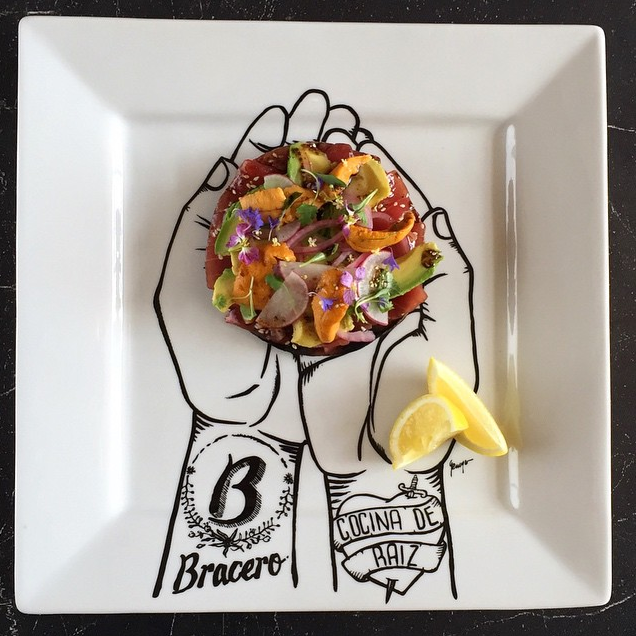 Make your reservations now to experience Bracero Cocina de Raiz by Javier Plascencia. 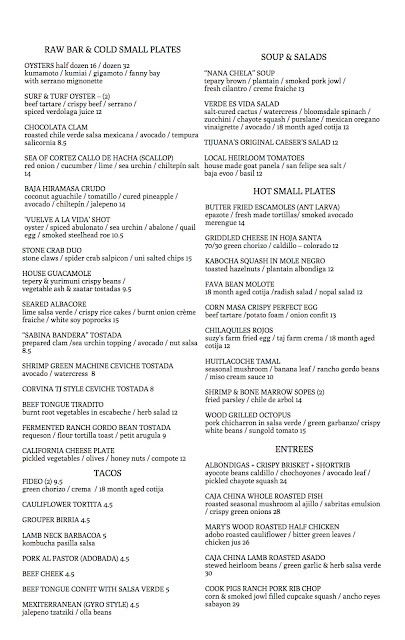 For more information, visit bracerococina.com and check out the menu-in-progress below to whet your appetite!